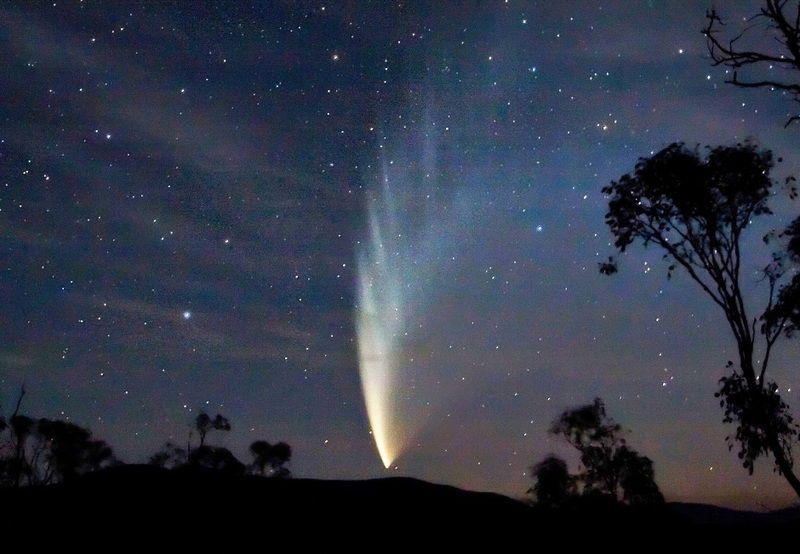 C/2006 P1 Comet McNaught, the ‘Great Comet of 2007’, as seen from Swift’s Creek, Victoria, Australia on 23 January 2007. Image credit: Fir0002 / Flagstaffotos / Wikimedia Commons CC BY-SA 3.0. Dr. Haruna Sugahara, from the Japan Agency for Marine-Earth Science and Technology (JAMSTEC) in Yokahama, and Dr. Koichi Mimura, from Nagoya University performed a series of experiments to mimic the conditions of comet impacts on the early Earth at the time when life first appeared, around 4 billion years ago. They took frozen mixtures of amino acid, water ice and silicate (forsterite) under cryogenic conditions (77 K), and used a propellant gun to simulate the shock of a comet impact. After analysing the post-impact mixture with gas chromatography, they found that some of the amino acids had joined into short peptides of up to three units long (tripeptides). According to Haruna Sugahara, “Our experiment showed that the cold conditions of comets at the time of the impacts were key to this synthesis, as the type of peptide formed this way are more likely to evolve to longer peptides. “This finding indicates that comet impacts almost certainly played an important role in delivering the seeds of life to the early Earth. It also opens the likelihood that we will have seen similar chemical evolution in other extraterrestrial bodies, starting with cometary-derived peptides. “Within our own solar system the icy satellites of Jupiter and Saturn, such as Europa and Enceladus are likely to have undergone a similar comet bombardment. Indeed, the NASA Stardust mission has shown the presence of the amino acid glycine in comets. “The production of short peptides is the key step in the chemical evolution of complex molecules. Once the process is kick-started, then much less energy is needed to make longer chain peptides in a terrestrial, aquatic environment. 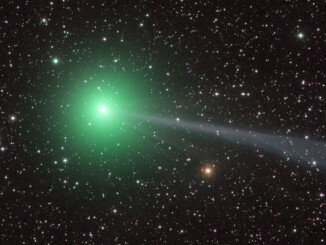 Get ready for Comet Lovejoy! C/2014 Q2, better known as Comet Lovejoy, is brightening fast and rapidly heading into the Northern Hemisphere sky. 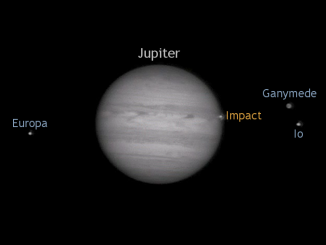 Here’s our quick guide to viewing what will hopefully be the first naked-eye comet of 2015. A thrilling ride is about to begin for NASA’s Cassini spacecraft. 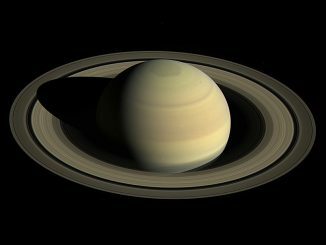 Engineers have been pumping up the probe’s orbit around Saturn this year to increase its tilt with respect to the planet’s equator and rings. And on 30 November, following a gravitational nudge from Saturn’s moon Titan, Cassini will enter the first phase of the mission’s dramatic endgame.